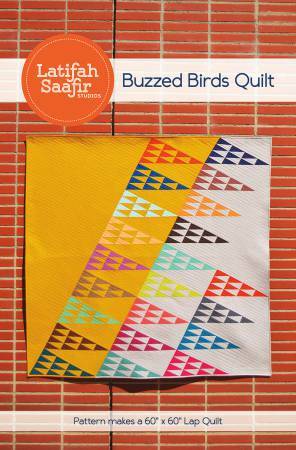 A fresh spin on the traditional Birds In the Air Quilt Block this pattern features paper pieced Half Rectangle Triangles that are placed on the diagonal. The two background fabrics gives it a fresh look and feel. Pattern includes one pattern booklet and a set of printed foundations and templates. Each pattern also includes a unique download code for the full pdf pattern, foundations/templates, and a bonus coloring page. Pattern makes a 60in x 60in quilt.